Galactic cosmic rays are mysterious bits of atoms moving through the Milky Way at speeds approaching the speed of light. Identified in 1912 by Victor Hess using simple instruments carried aloft on balloons, their origin is a mystery. One reason for this mystery is that it's difficult to trace the paths of cosmic rays back to their region of origin, since they tend to get deflected and scrambled by magnetic fields during their trip through the galaxy. Because of the enormous energy needed to accelerate cosmic rays to near-light speed, it's likely that enormous stellar explosions - supernovae - play a role in generating cosmic rays. Now, thanks to the Large Area Telescope (LAT) on the Fermi Gamma-ray Space Telescope, there's new evidence associating cosmic rays with massive stars that either have exploded or are waiting to explode. 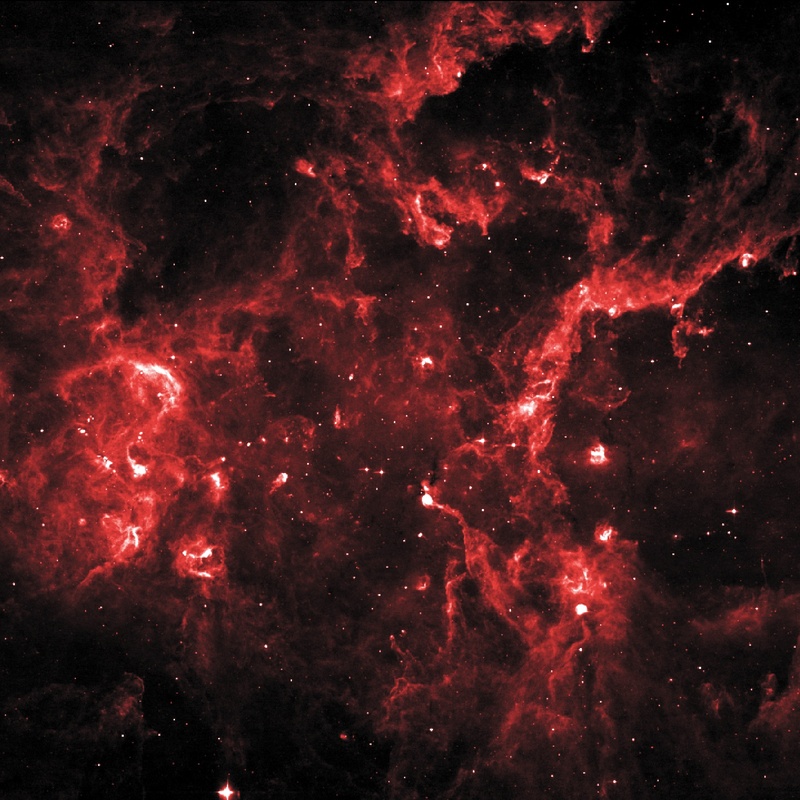 The image above is a combination infrared image (obtained by the Midcourse Space Experiment, MSX) and (in pink and white) a Gamma-ray image obtained by the LAT of a massive region of star formation called Cygnus X. Cygnus X contains dozens of massive stars, along with remnants of exploded stars, a unique nearby region of massive star formation. But Cygnus X is frustratingly nearly invisible to optical telescopes due to thick clouds of dust which lie between us and Cygnus X. However, infrared emission from the hot dust, can be detected, as can high energy Gamma-rays which penetrate through the dust. When cosmic rays collide with nearby gas and dust, this collision produces Gamma-rays, so Gamma-rays are a good tracer of new cosmic rays. The LAT image shows Gamma-ray emission filling the voids produced by the winds and deaths of the massive stars in Cygnus X, and indicates that strong stellar winds and/or supernovae play perhaps the dominant role in producing Galactic cosmic rays.